It’s not heavily emphasized within the text, but there are more than enough keywords and innuendo to conclude that the US’ National Strategy for Counterterrorism is very problematic for Pakistan because it’ll likely be wielded as a Hybrid War weapon for eventually sanctioning CPEC. The US just unveiled its new National Strategy for Counterterrorism (NSCT), and while most news reports on this policy-guiding document tend to emphasize America’s claims that Iran is “the most prominent state sponsor of terrorism”, there are plenty of reasons why observers should pay attention to its relevant Pakistani component too. Without summarizing the entire strategy and focusing solely on its pertinence to Pakistan, the US specifically calls out the Tehrik-e Taliban Pakistan (TTP), Lashkar-e Tayyiba (LeT), and Babbar Khalsa International (BKI), which operate in Pakistan, Indian-occupied Kashmir, and the Sikh-inhabited regions of Indian Punjab respectively. The US has previously claimed (although importantly not within this document itself) that all three of them are linked to Pakistan in one way or another, with the country being either a victim or an accomplice of these organizations. By inference, this makes Pakistan the proverbial “elephant in the room” when talking about the US’ NSCT. India is only talked about twice in the same sentence describing the BKI’s attacks against the country’s civilian population, but the part of the document describing the US’ intentions to partner with likeminded victims of terrorism strongly implies that the US-Indian Strategic Partnership could begin to be reframed through an “anti-terrorist” narrative. Relatedly, the US might justify the intensification of its military relations with the country on an “anti-terrorist” basis, especially related to what the US and its newfound Indian partner regard as the “Pakistani-backed terrorist insurgency” in Indian-occupied Kashmir, in order to deflect from their true anti-Chinese and –Pakistani motivations for upsetting the delicate balance of power in South Asia. This is strongly hinted in the part where the authors write that America will “support (the) counterterrorism capabilities of key foreign partners”, with India being the US’ “Lead From Behind” partner in South Asia for dealing with two of the three mentioned groups. The reason why none of this is as explicitly stated as the anti-Iranian passages are is because the US intends to employ its NSCT against Pakistan as a tool for pressuring its leadership into making “concessions” regarding the War on Afghanistan and CPEC. 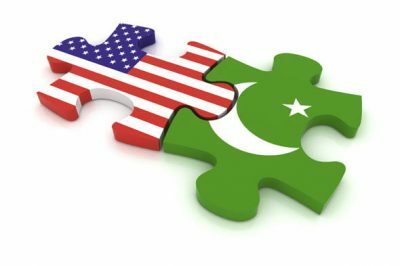 Even in the unlikely event that Pakistan cuts a clandestine deal with the US on either or both of these topics of grand strategic interest for America, it’s unlikely that Islamabad will save itself from Washington’s Hybrid War wrath because the US needs to scapegoat Pakistan for its failures in Afghanistan and ensure that China isn’t able to reliably use CPEC as its game-changing shortcut to the Afro-Asian Ocean. That’s why the most probable scenario is that the NSCT is weaponized in order to qualitatively enhance the effectiveness of the US’ ongoing fake news infowar campaign against Pakistan prior to imposing “anti-terrorist” sanctions against it that are really aimed against CPEC. The whole point in doing so would be to decrease the international attractiveness of this corridor by scaring foreign investors away and increasing the odds that it becomes dominated solely by China, which would thus diminish its prospects for turning Pakistan into the Zipper of Eurasia and Convergence of Civilizations. That could also impede the project’s overall economic viability as well, especially if the US dares to carry out “anti-terrorist” drone strikes against targets along this route in order to reinforce the artificial narrative that conducting business with China through CPEC is “dangerous”. This “reverse-engineered” conclusion that the US is working to guide the global public towards is predicated on inflicting major strategic damage to China’s future economic interests and therefore improving the chances that it’ll enter into the desired “compromises” necessary for ending the so-called “trade war” in America’s favor. For these reasons, the US’ NSCT is just as much about South Asia and Pakistan as it is about the Mideast and Iran.